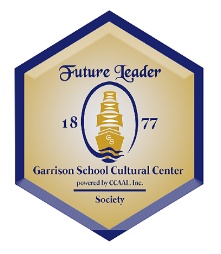 Make Black History Month in 2017 memorable by beginning work toward the Future Leader badge of Garrison School Cultural Center. Garrison’s digital learning Badge prepares young people for community success and culturally cognizant leadership. 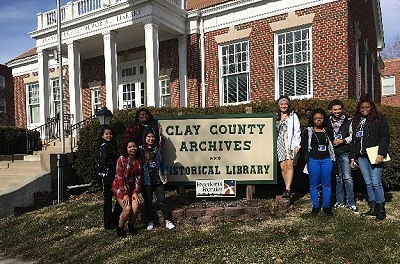 Eight Liberty North High School students began working toward the badge in January 2017, to learn more about African American history and culture. Complete the five XPs or experiences of the Future Leader playlist as an individual or better as part of a team. Learn about local culture not covered in your textbooks or taught in the classroom. Go places and meet Kansas Citians. Network and learn about opportunities. In better understanding yourself and your community, you will explore, visit sites, take pictures, interact with peers and others, interview people from diverse backgrounds, write or record your learnings and impressions, receive feedback, and share what you learn in your community. Garrison School was established in 1877 in Liberty, Missouri, for Black students, before integration of schools following the landmark 1954 case of Brown vs. Board of Education. Garrison School Cultural Center seeks to preserve history, share culture and promote human relations. It is part of the Clay County African American Legacy, Inc., a non-profit 501(c)3 organization. Note that a graphic design student from Liberty North High School was responsible for the design of the badge pictured above.